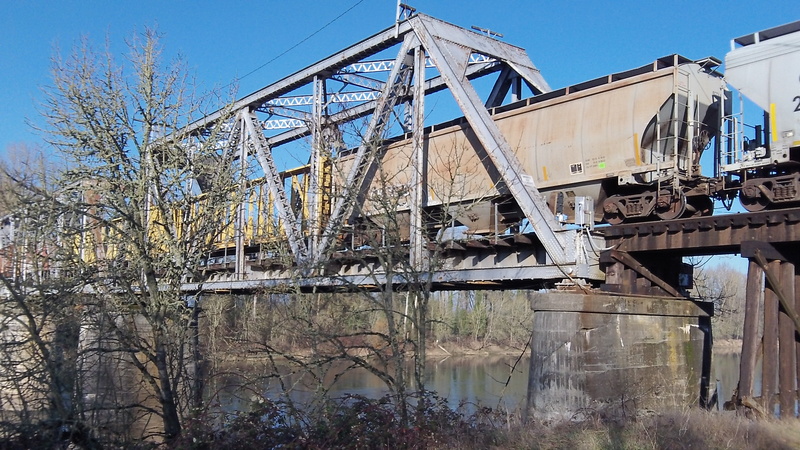 Well, that big crack in Pier 1 of the Willamette River railroad bridge in Albany is one less thing we have to worry about. It looked ominous to me when I published this photo in March. But an independent engineer has told the Portland & Western Railroad and its parent company that the pier is OK.
Back in March, I asked ODOT rail planner Bob Melbo if the appearance of this concrete pier, the one closest to the south riverbank and the Dave Clark Path, was of any concern. 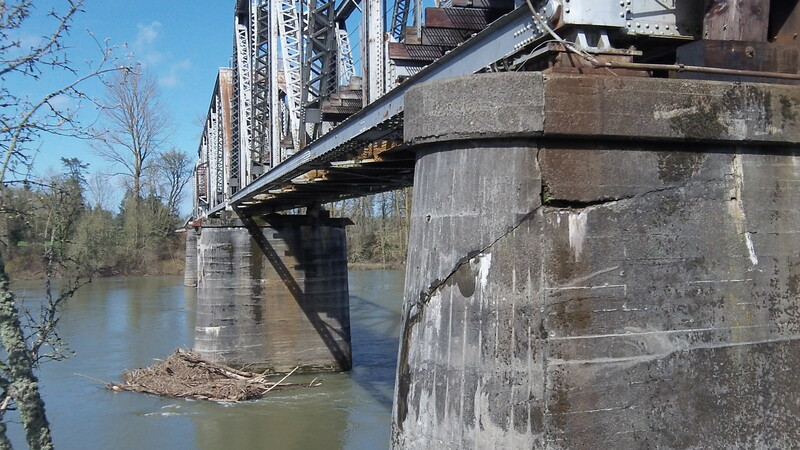 He checked and found a bridge inspection report from 1946 that mentioned the crack, so it obviously had been there for a long time. Still, he asked the railroad to let ODOT know what its personnel thought about this. Today he had a response from Marc Bader, vice president for maintenance at Genesee and Wyoming Inc., the railroad’s parent company. Bader wrote that the bridge is inspected every year by an outside engineer. He included what presumably is the latest report by RailStar Engineering. 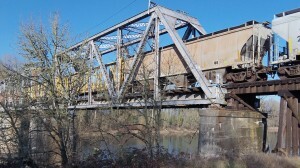 A freight crosses the Willamette River last January.